I am a doctor, a pediatrician to be exact. I rely on pattern recognition to make diagnoses every day. Once I have made a diagnosis, I rely on my knowledge to treat and on my understanding of human emotions to comfort. I recently noticed something very much out of place and I made a diagnosis. This time, however, it wasn’t a patient I was diagnosing -- it was this country. Let me explain. On the same week of May, both First Lady Melania Trump and Attorney General Jeff Sessions made important announcements for the future of children in the U.S. and abroad. Trump announced the rollout of her program "Be Best," which will focus on the mental and emotional well-being of children because, as she stated, "children deserve every opportunity to enjoy their innocence." Meanwhile, Attorney General Jeff Sessions announced that all immigrants caught crossing the border illegally would be criminally prosecuted; a policy that effectively causes children to be separated from their families. The first lady's announcement fits with what I know to be normal parental behavior from years of working day and night in a hospital: Parents do anything and stop at nothing when it comes to protecting and comforting their children. It is also in line with previous first ladies' campaigns -- Michelle Obama’s push to end childhood obesity and Laura Bush’s efforts towards early childhood literacy -- and with decades of policies in this country aimed at helping children thrive. Attorney General Jeff Session’s announcement on the other hand, given the history of this country and what I know about parental behavior, does not fit the pattern. Taking children away from their families not only doesn't help them thrive, it directly causes long-term harm to their health and well-being. To my trained brain as a physician, this announcement and the policies it has sparked represent the concerning early signs that the country is ill.
My medical assessment of the illness is this: A 242-year-old country with a previous history of caring for the well-being of all children, currently making exceptions when it comes to immigrant children in the setting of heavily-charged politics. The differential diagnosis, a term used to list potential causes of the problem, for said country includes amnesia, developmental regression, and malingering. The current illness and its symptoms are likely due to a combination of all three disease processes. 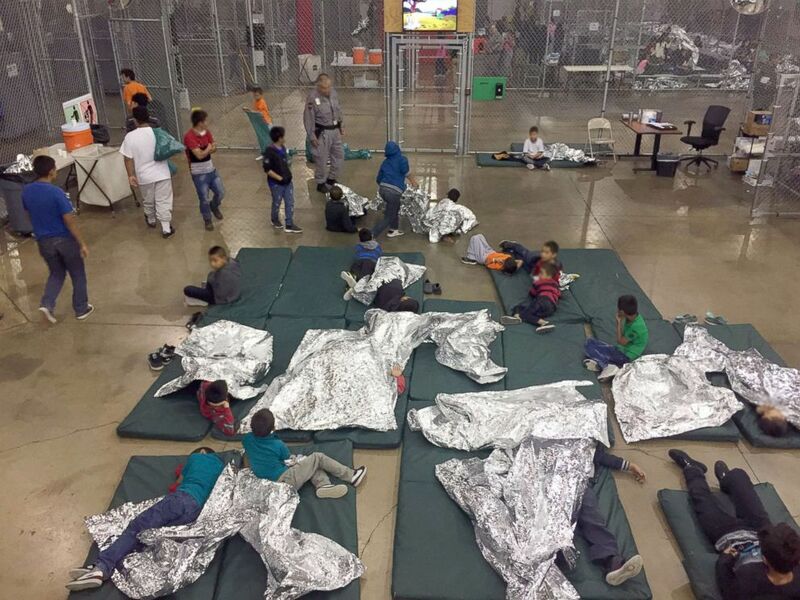 Customs and Border Protection released new pictures from inside the centralized processing center in McAllen, Texas, June 17, 2018. First, with our treatment of children and families at the border, this country seems to have forgotten not only its own history as a nation of immigrants, but also previously established international laws that allow human beings fleeing for their lives to seek asylum at the border of another country. America also seems to be starting to back-track in its emotional and developmental skills. In our discussions and portrayal of immigrant children and families we are allowing ourselves to fall prey to fear, rather than our previously exhibited and more developmentally advanced emotions -- compassion and sympathy. And lastly, our country’s leaders may have a severe case of malingering, a term used in medicine to describe patients who are pretending to have an illness for secondary gain. In other words, America’s government is pretending to have amnesia and developmental regression in order to get the attention and sympathy of a segment of the population. Pretending this way wastes precious time and resources that could be better spent creating solutions for the children seeking refuge from violence and poverty at our border. 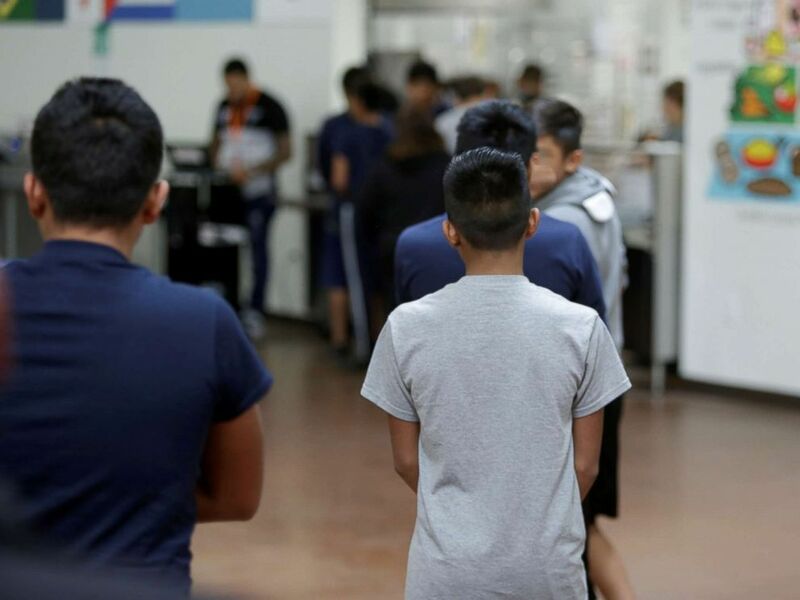 Children stand in line at Casa Padre, an immigrant shelter for unaccompanied minors, in Brownsville, Texas, in a photo released by the Department of Health and Human Services, June 14, 2018. As a physician, I am comforted by a diagnosis. It means we have a common starting place, a concrete problem into which we can pour our efforts and resources. But whose responsibility is this particular problem? Just like in any severe illness I’d treat, we’ve reached the "all hands on deck" point. Media sources can bring back our previously attained emotional and developmental milestones by humanizing the issues, by portraying caravans of immigrants not as mobs, but rather as tired, traumatized, complex human beings fleeing for their lives. The American public can, in turn, resist the messages that appeal to our most primitive emotions and elect politicians who understand that the issues that involve parents, children and families are complex. We doctors, by virtue of our profession, have the privilege of bearing witness to human vulnerability and human suffering. We therefore have an opportunity, and I'd argue a responsibility, to talk about how these issues -- and the policies created in response -- affect the most vulnerable among us. As a pediatrician, I serve children and their parents every day, and sometimes night, of my life. Years of practice have also taught me that no one is exempt from one day needing compassion, sympathy and refuge.